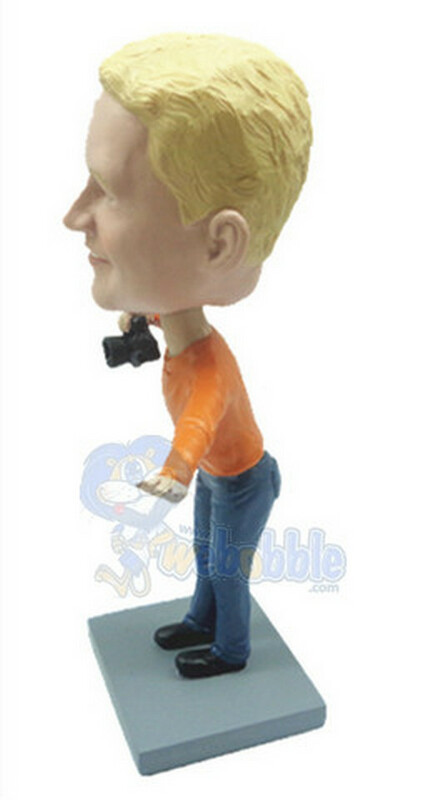 This custom bobble head features a male that is holding a camera in his right hand making a funny pose to get his subject to smile. 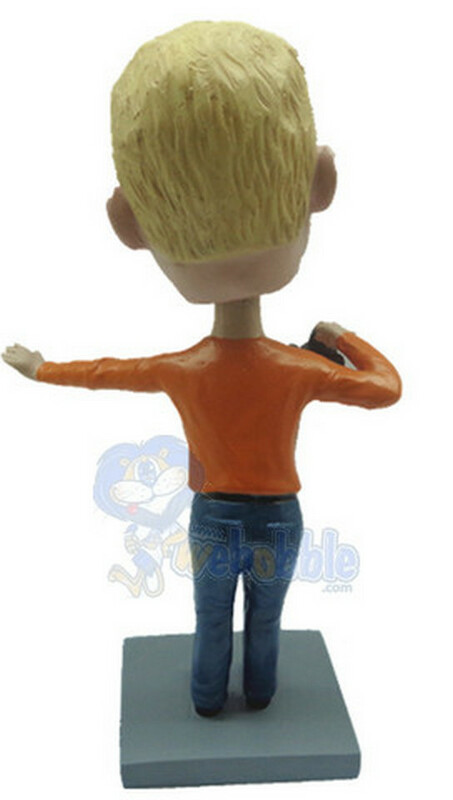 The bobble head doll is dressed in a long shirt and jeans. 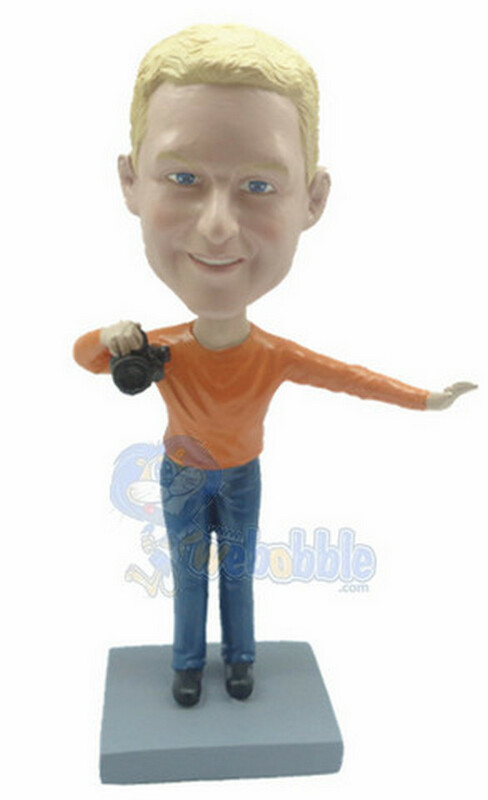 just wanted to let you know how much I appreciated all your assistance and understanding. I couldn’t have been more pleased with the results. Thank you so very much. 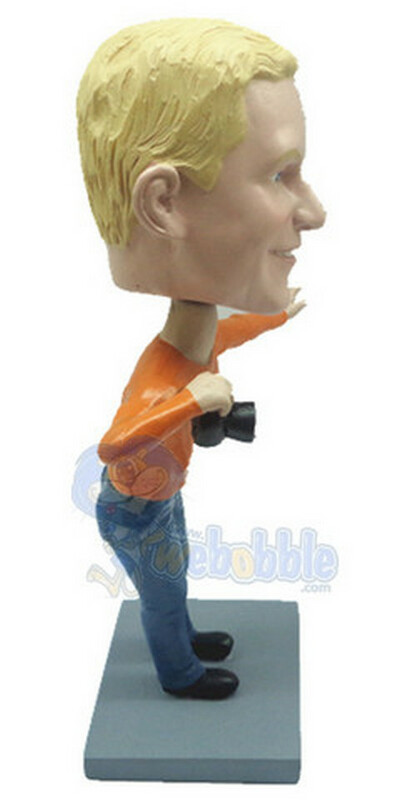 The bobbleheads were the highlight of my party!